This adorable new addition to our emoji line is a cheeky way to tell someone you think they are great. Call it poo or poop, it's just darn cute. They were a hit when passed out at a parade. The kids and adults loved them. Really great product even our logo on them. The emoji meets all of our expectations. Customer service was great and they were delivered within the stated time frame. 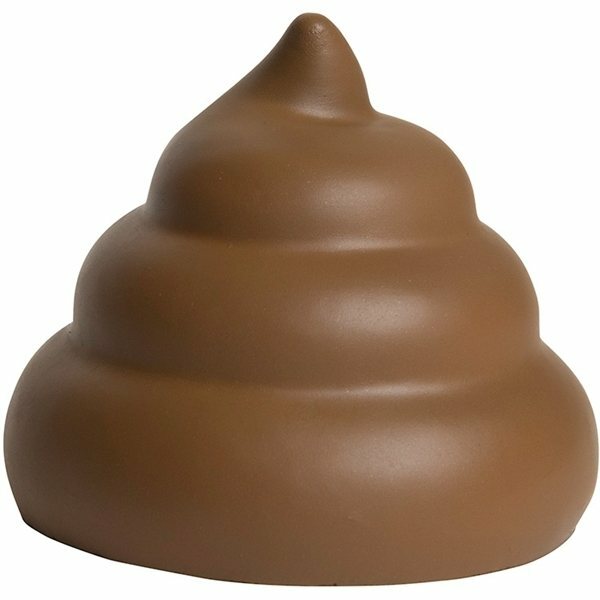 Our customers love when we give them their own poop emoji stress balls. Our only comment would be that the consistency of the stress balls are not the same across the board. Some are super squishy others are super hard. Overall we do enjoy the product and we will be using AnyPromo again in the future for our stress ball needs. Thanks!